Water hyacinth is a floating aquatic plant with bright green, waxy leaves and attractive, violet flowers that have yellow stripes on the banner petals. The leaf stem is usually swollen and acts as a float. It is native to the Amazon River basin of tropical South America and has now spread to all tropical and subtropical countries. 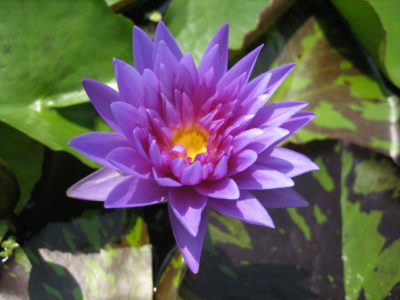 It was introduced to the United States as an ornamental plant for water gardens and was found in California in 1904. It is reputed to be the fastest-growing plant in the world, doubling in size in a week during hot weather. 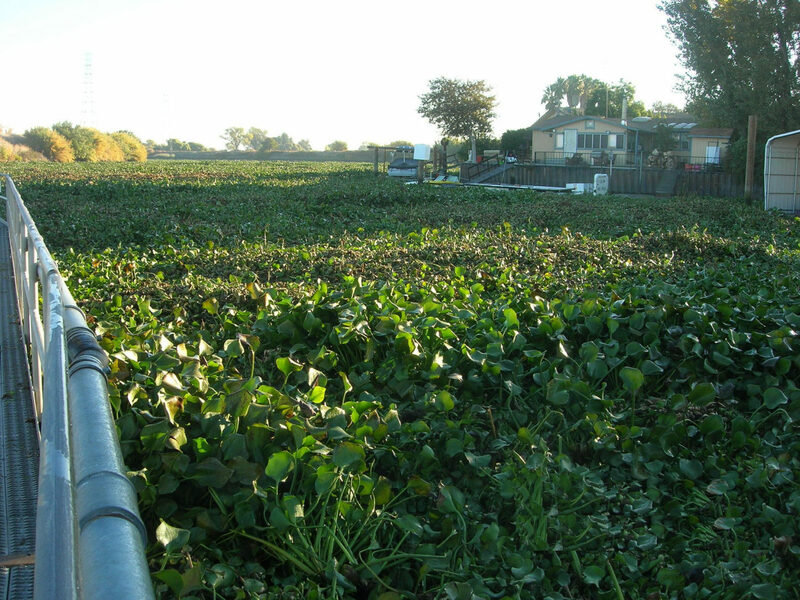 Water hyacinth invasions jam rivers and lakes with tons of floating plant matter that can weigh up to 200 tons per acre. 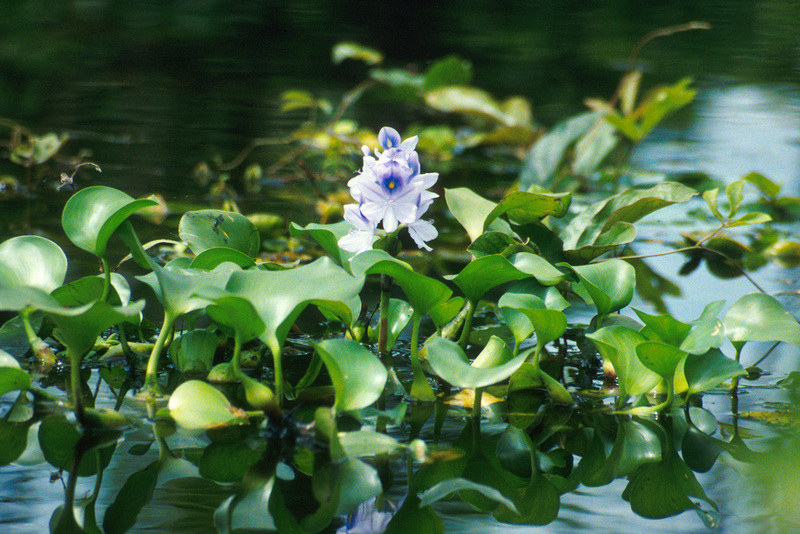 How does water hyacinth spread? 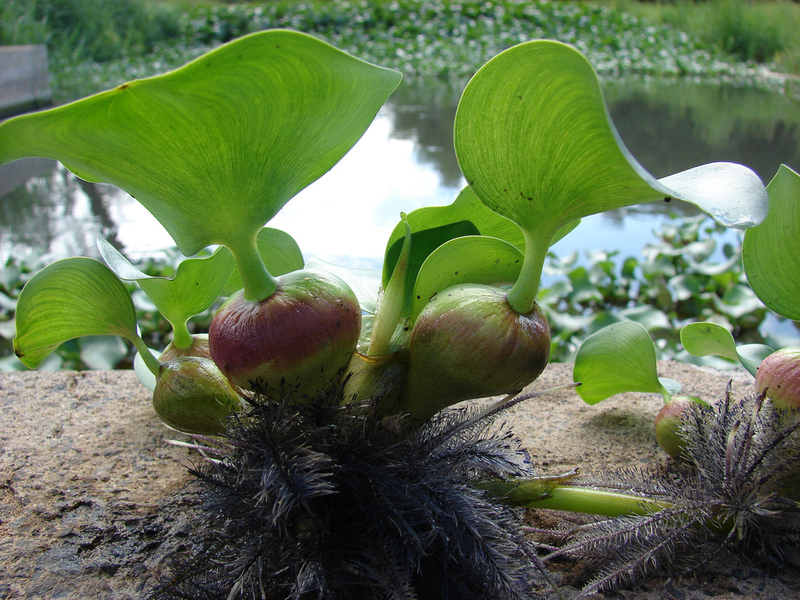 Water hyacinth reproduces vegetatively and sexually. The major means of dispersal, and the most difficult to control, is active transport by people who, ignorant of its impacts, seek to propagate it in other ponds and lakes. Dispersal also occurs by water-borne seeds and by seeds that stick to the feet of birds. The seeds can live 15-20 years. 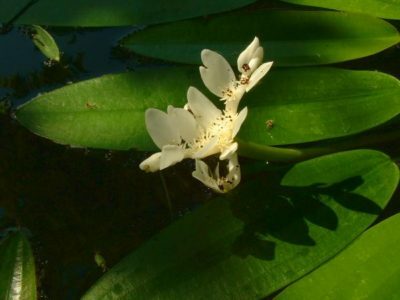 Water hyacinth also spreads through fragmentation of established plants and may resprout from rhizomes or germinate from seeds. Where is water hyacinth found? 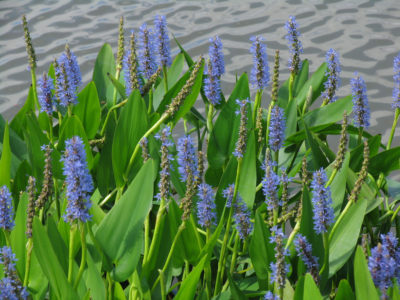 Water hyacinth can be found in both natural and man-made freshwater systems (ponds, sloughs, rivers), but it will not tolerate brackish or saline water. 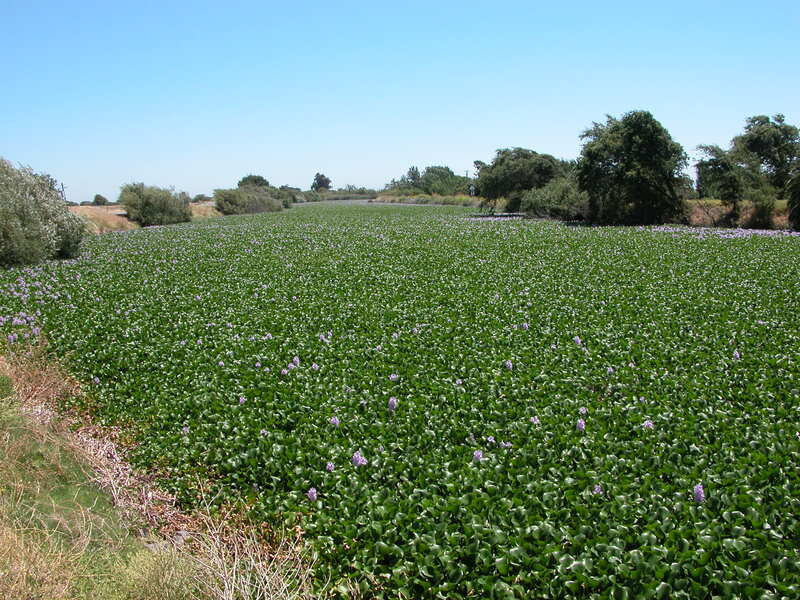 In California, water hyacinth is typically found below 660 feet (200 m) elevation in the Central Valley, San Francisco Bay Area, and South Coast. 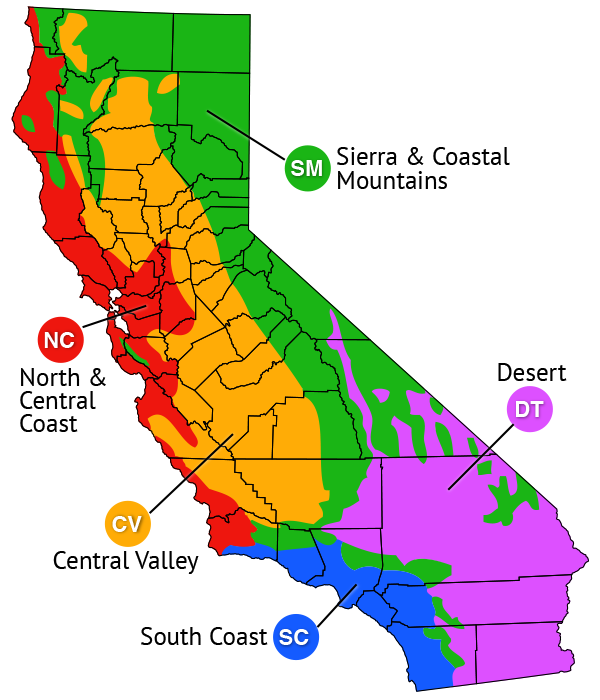 The Sacramento-San Joaquin Delta and several of the rivers drained by this delta have been heavily infested. 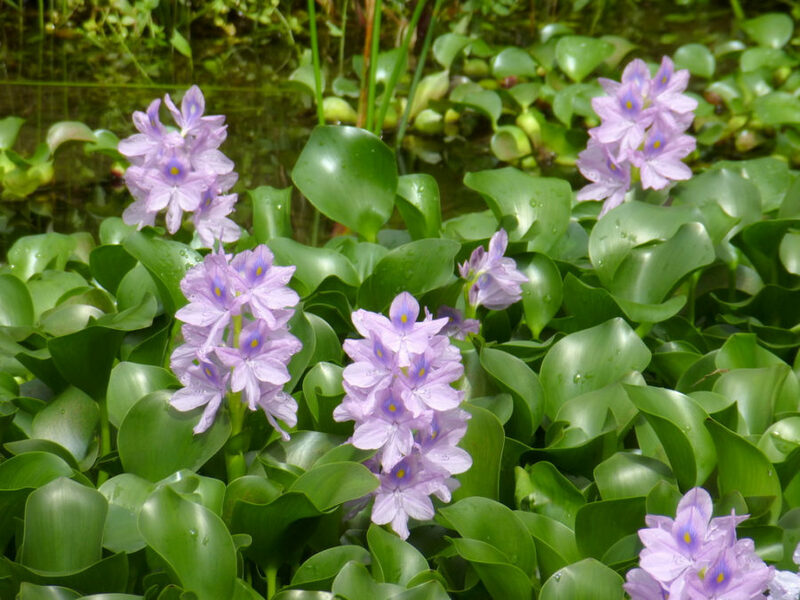 What problems does water hyacinth cause? Water hyacinth mats degrade water quality by blocking the air-water interface. This greatly reduces oxygen levels in the water and can eliminate underwater animals such as fish. The plant also increases water loss from lakes and rivers due to its high transpiration rate (almost 8x that of evaporation from open water). The State of California has spent $45 million over 15 years to control water hyacinth in the Sacramento-San Joaquin Delta.